Home » Church and World » After 35 Years: A Return to Reform? After 35 Years: A Return to Reform? My friends can tell you that I have a bad habit. Actually, more than one, but only this one is relevant at the moment. When going through my email inbox, I tend to scan everything, then work from the least important first ‘saving the best for last’, so to speak. Especially after a busy week, I might spend an hour just sorting through quasi-spam and quick reply messages, clearing the space so I can respond to the really important ones. The problem is that I too often run out of time, and messages from my closest friends or strongest ecumenical contacts languish a little too long awaiting attention. The same logic has log-jammed my blog lately. Since about two weeks after Pope Francis was elected as bishop of Rome, I have sat down several times to start a reflection on his fledgling papacy. The problem is, every time I do this, I get distracted reading about whatever exciting new thing he has done. Often they are little changes, gestures and actions, but they paint a picture of humility and commitment to reform, openness to dialogue and noble simplicity of faith and its expression. Everyone else had just long since forgotten what it was like to feel excited about the prospect of change in the church. Earlier this month a Jesuit friend told me how his confreres have noted that the ‘young people’ do not seem to like Francis very much. The problem, though, here in Rome, is that ‘young people’ are judged as is everything else: clerically. The seminarians under 40, the same ones who were drawn to the priesthood as a power structure, certainly are nervous. But everyone else is giddy. The young, the old, the long-suffering and the fair-weather, everyone is happy but for those who invested in birettas and lace surplices (cf. John Allen, Jr.). But even for them, there remains a place in the Church. How could there not? No one is threatening their particular peculiarities and liturgical peccadilloes. But they simply are no longer being championed as the next big thing. 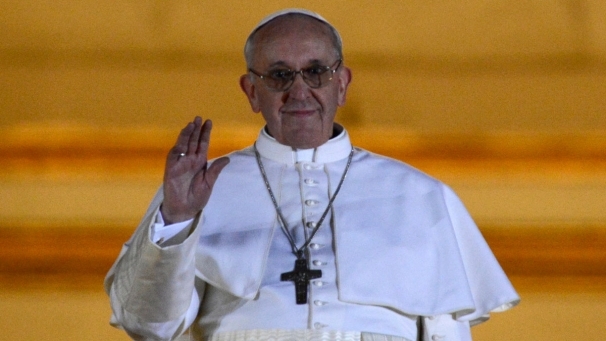 Yesterday, Pope Francis’ comments to the Conference of Latin American Religious were leaked, in which he seems to suggest not taking the CDF investigation of Religious too seriously, bemoans his own lack of administrative organization, acknowledges the problem of a “gay lobby” in the Vatican, and identifies as two of the most significant concerns today the Pelagianism of restorationist/traditionalist movements, and the Gnosticism of certain spiritualist movements. Joseph Ratzinger, “Guardare Cristo: esempi di fede, speranza e carità” [Looking at Christ: Examples of faith, hope and charity]. 1986. The sense now, for most, is that people are hopeful, but hesitate to be too hopeful. 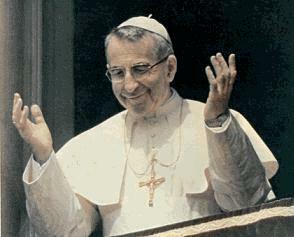 More and more, people are reminded of John Paul I, Papa Luciani, who had the same simple, honest way with the Petrine ministry and the hope that he had instilled that the reforms of the Council would continue, only to have those hopes dashed after only 33 days. Three months after Francis’ election, I think some people are still afraid that their hopes will not have the chance to come to fruition. But hope it is. By A.J. Boyd in Church and World, La vita Roma on June 12, 2013 .